This Post has already been read 512 times. Are you an entrepreneur facing challenges? Do you have any unanswered questions? Or do ever you feel in the midst of so many entrepreneurs emerging, you are not getting the attention you require? Well, that’s the life of every entrepreneur. Here’s bringing you a solution to your problems. Innovation District 92 brings Startup Huddle to Pakistan for the very first time. Startup Huddle Lahore aims to build and strengthen our local entrepreneurship ecosystem – by helping one entrepreneur at a time. Every month, entrepreneurs come together to present their startup to other members of the local ecosystem – revealing challenges and crowdsourcing solutions from audience members. Startup Huddle is owned and operated by the Global Entrepreneurship Network (“GEN”). GEN is responsible for coordinating the global program and catalyzing local Startup Huddle events through a collection of local organizers and national partners. 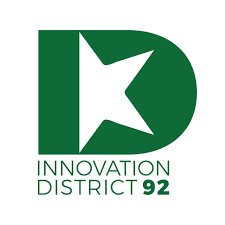 Startup Huddle Lahore is made possible by Innovation District 92. So, if you are an entrepreneur looking to leverage the expertise and experience of other local entrepreneurs, mentors, investors and other startup champions to help you grow your startup, look no further. Apply away and take this exclusive chance to present your idea to a bunch of people including industry mentors, domain experts, fellow entrepreneurs and professors who can be your best critic and finest mentors. A basic startup huddle event caters to 2 startups, each having a time to present for 6 minutes followed by a 20 minutes discussion on the startup and crowdsourcing ideas.